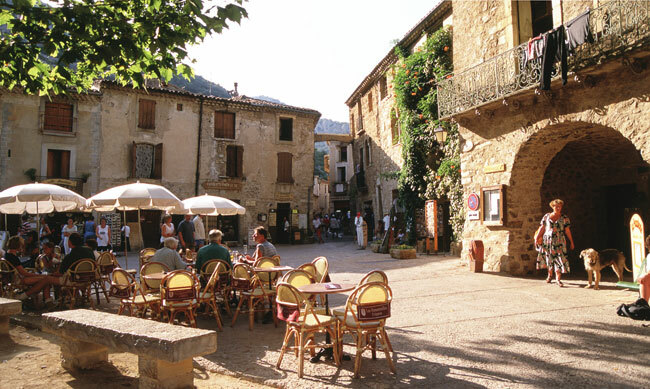 Annaliza Davis asks, could this hugely varied area, which offers sun, sea and ski, be the perfect place to live your French dream? The area that we know as ‘the Languedoc’ includes the bay right in the middle of France’s south coast, where you’ll find Montpellier, then it stretches west towards Perpignan, the Pyrénées and the Spanish border. In January 2016, when France reorganised its administrative zones, Languedoc-Roussillon became part of the second largest region in mainland France, currently known as LRMP (Languedoc-Roussillon-Midi-Pyrénées). As you might imagine from its geography alone, the Languedoc is an attractive area for house-hunters, as it offers the contrasts of seaside, countryside, mountains and cities. Would-be residents are drawn by the prospect of a warm, Mediterranean climate, while the diversity of landscapes and properties on offer means that there really is something for every taste and budget. The Languedoc is said to have all the advantages of the French Riviera without the downsides. In other words, you get the coast and the climate without the intensely populated high-rise zones and the over-commercialised tourist developments. But perhaps the most appealing thing about the Languedoc is its diverse landscape. In this single French region there are ski resorts, beaches, vineyards, historic sites galore and vibrant, modern cities. The biggest city is Montpellier, with over 400,000 inhabitants, but there’s also Nîmes (150,000), Perpignan (120,000) and, inland, to the west of the region, the famous historic destination of Carcassonne (47,000). There are fantastic transport links to this area, too, including five airports, rail links and direct Autoroute connections. People who live in France will tell you that the regions here are so very different that they often feel like completely separate countries. 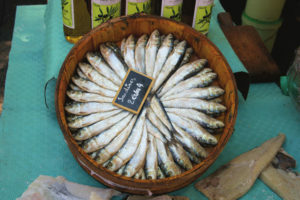 For example, Brittany is nothing at all like the Côte d’Azur, so how might we describe the character of the Languedoc? The character of the area is, of course, as diverse as its landscape, which you’ll already have gathered is very varied indeed. Your experience of the Languedoc when you’re surrounded by snowy mountains in the ski resort of Les Angles will be a complete contrast to the experience on the beach near Sète or walking along the tree-lined towpaths of the Canal du Midi. In terms of its geography, the area can be split into two parts. The Haut-Languedoc is the section right in the middle of the south of France, bordering Provence and the Alps, and this is a mountainous area that includes the Cévennes National Park and part of the Massif Central. In contrast, the Bas-Languedoc, the area to the west, along the coast and towards Spain, is flatter and more popular with tourists. The whole area is noted for a strong cultural heritage, not only thanks to its Occitan language and Catalan roots, but also the medieval Cathar castles and the countless examples of glorious Roman architecture that you’ll find throughout the region, such the awe inspiring Roman arena in Nîmes. Languedoc-Roussillon is very protective of its countryside and coastal zone, and despite being a favourite destination for overseas visitors, it’s shied away from mass tourism, in order to preserve its very strong cultural identity. People who have moved to the area, whether from another country or from other parts of France, seem to fall in love with its relaxed lifestyle and the sense that, in the Languedoc, you always feel in touch with nature. This historic fortifi ed town is the type of place you visit and fall dangerously in love with – it convinces you that France is where you absolutely must live. Saved from potential demolition in the 1850s, and now a UNESCO World Heritage Centre, its fairytale turrets and medieval walls have been used in many films, and are one of the most photogenic sights you’re ever likely to lay eyes on. When people discuss the Languedoc, the weather is bound to be a talking point. Firstly, the area’s famous Mediterranean climate, which offers temperatures that regularly rise above 30°C – sometimes 40°C – during the summer, which is usually lengthy and hot. You can reasonably expect 300 days of sunshine a year in the Languedoc, and although winters are mild, they can be rainy. Do remember that because it’s such a large area there’ll be great variations – the mountainous areas in the highest portions of the Languedoc clearly get enough snowfall to support successful ski resorts, and the sheltered coastal spots further south will get much hotter in summer than the rural areas inland. We should also mention the wind. The warm, wet ‘Marin’ wind comes in from the sea in the south-east, while the cold ‘Tramontane’ wind blows from the north-west and can be dramatic, even violent. Residents in some parts of the Languedoc find the gusts to be a serious problem and are very sensitive to the changes in weather, while others are relatively unaffected, so it’s worth doing your research. If you feel that strong north-westerly winds will seriously affect your quality of life, ensure the weather’s part of your criteria as you’re property hunting. As an extremely diverse, geographically sprawling area, Languedoc-Roussillon features almost every style of property in a myriad of location styles – from coastal The Celebrity Canal du Midi You’ve probably seen this incredibly picturesque waterway starring in such television programmes as Great Canal Journeys and Rick Stein’s French Odyssey. These small screen celebs are all fans of the 360km network of navigable waterways which connect the Atlantic to the Mediterranean, an impressive and serene canal that was constructed between 1667 and 1694 and is classed as a UNESCO World Heritage Site. Enjoy it by cruising along in a barge, cycling its towpaths or simply taking a stroll and admiring its bewitching serenity. 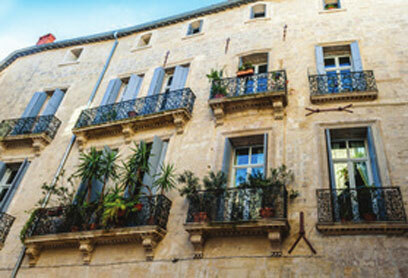 resort towns, tiny hamlets and ski stations to large, vibrant cities such as Montpellier. Consequently, it’s no surprise that prices vary widely from one part of the area to another. As a general rule of thumb, the closer you go to either the Mediterranean coast or to Provence, the more expensive the properties will become. Over the last decade, Languedoc-Roussillon has become a firm favourite for foreign buyers who want properties which offer great Mediterranean weather and easy access to the sea, but without having to pay Provence prices. 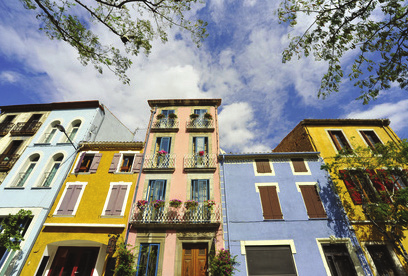 Happily, it’s still possible to find thoroughly affordable homes in Languedoc-Roussillon, so you can still approach a property search with the idea that you’ll be able to ‘make the most of your budget’, despite it being a highly desirable part of France: it’s all a matter of careful research and making sure that your priorities are clear. 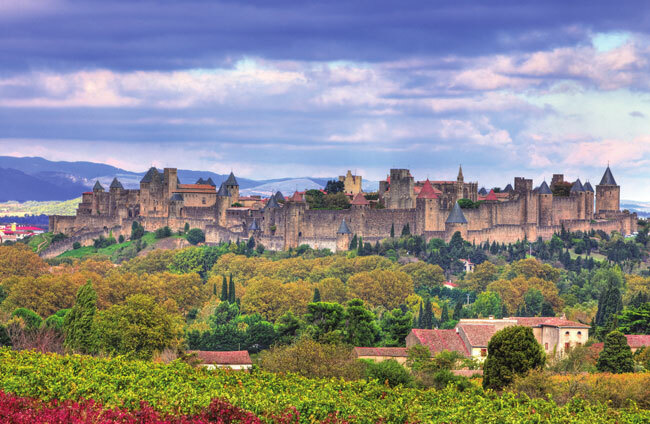 What are the main types of property in the Languedoc? Almost always on the ‘wish list’ of overseas buyers, the Languedoc’s traditional townhouses are full of charm and character, and mostly found in pretty and lively medieval villages, within easy access of shops and restaurants. If there isn’t garden attached to a townhouse, don’t despair, as many of them have been granted permission for a rooftop terrace. Depending upon the location and the standard of the property, you should allow a purchase price of between €100,000 and €350,000. As you might have gathered from the name, these were originally built as village homes for wine growers (vignerons), and boast a large, ground-floor garage/barn, which provided space to store their agricultural gear and tools. Customarily, most of them are in the centre of a village, so they aren’t usually surrounded by land, but they’re extremely spacious inside. 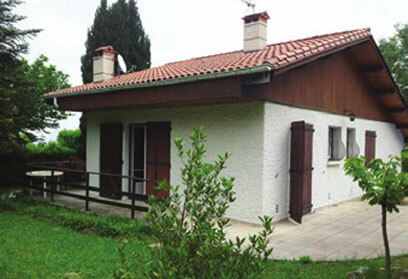 The price of these properties varies between €200,000 and €600,000. Despite being a more modern type of property, villas are very popular in the Languedoc, particularly as their recent construction means that they offer such modern conveniences as air conditioning or ‘reversible’ heating. Many of the area’s villas come with a pool and a covered terrace, making them the perfect house for summer barbecue evenings and visits from family or friends. Depending on the size of the villa, the plot and the location, they cost between €250,000 and €500,000. The Pyrénées offer a choice of ski resorts which can be a lot more affordable than in the Alps, and if your dream is to live in the mountains, this could be the way to do it. There are seven main ski resorts in Languedoc-Roussillon: Font Romeu (the oldest and largest, rising to 2,260m), Les Angles (the most expensive, reaching 2,400m), Cerdagne-Puigmal (the highest, at 2,700m), Formiguères (near Les Angles, which is popular with cross country skiers), Cambre d’Aze (economical and ideal for beginners), Puyvalador (closest to Carcassonne) and Porte-Puymorens (rising to 2,500m, in a pretty Catalan village). Out of ski season, you can still enjoy the fantastic scenery, and many resorts attract a constant stream of visitors throughout the summer, especially for walking and hiking holidays. Ski chalets range from €250,000 to €500,000. Although the Languedoc has avoided mass tourism, it remains very popular with visitors who are looking for a relaxing holiday, not least because it has so much to offer, year-round, when you take the mild winters and ski resorts into account. 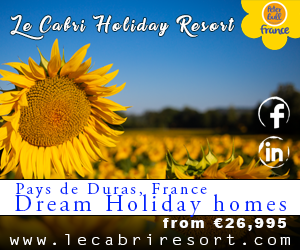 Easy access is provided through several international airports and a good motorway network, and of course, compared to some other regions in France, the area’s warm Mediterranean climate means that the holiday rental season is quite lengthy. For precisely these reasons, properties which operate as a gîte business are highly sought-after by foreign buyers. 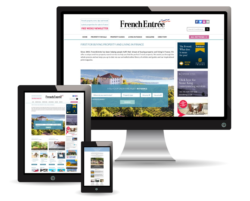 Depending on size, location, amenities and services offered, the going price for an existing gîte business ranges between €400,000 and €900,000. Having found out a more about Languedoc-Rousillon, do you feel that this is the area in which to buy your French dream home?